She has never served a single day as a Judge, in any level of the Judiciary. Judge Judy has 30 years more experience than Professor Kagan. Kagan has, however, been closely associated with two of the most dramatic and publicized instances of intellectual dishonesty in the 20th century. Between 1991 and 1995 Kagan served as an Associate White House Counsel and Policy Advisor to President Bill Clinton. 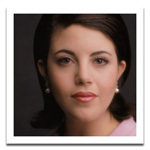 During her tenor as an Associate White Counsel & Policy Advisor, Kagan advised Clinton during the Monica Lewinski affair. For those of you too young to remember the Lewinski Affair, President Clinton was charged by a female employee of the State of Arkansas with sexual harassment. Arkansas is Clinton’s home state, and the State where Clinton served as Governor prior to being elected President. The state employee, Paula Jones, was not the only Arkansas State employee to bring such charges against then President Clinton. As a part of the prosecution of the sexual harassment case, Jones’ attorneys attempted to prove a “pattern of inappropriate sexual conduct” by then President Clinton in both Arkansas and later in the White House. The Attorneys for Ms. Jones had knowledge of a subsequent affair with a staffer in the White House, an affair that President Clinton was later forced to admit included “inappropriate sexual conduct”. Clinton’s ”forced” admission followed the discovery of legal proof of the affair, proof in the form of a Presidential DNA sample left behind on the staffer’s dress. After making several public denials, the President eventually admitted his guilt. WHILE ATTEMPTS TO IMPEACH PRESIDENT CLINTON WERE NOT SUCCESSFUL, PRESIDENT CLINTON WAS FOUND GUILTY OF BEING IN CONTEMPT OF COURT AND OF GIVING FALSE TESTIMONY UNDER OATH OR PERJURY. CLINTON’S CONVICTION WAS UPHELD BY THE U.S. SUPREME COURT, HE WAS FINED $90,000 DOLLARS AND HIS LICENSE TO PRACTICE LAW WAS SUSPENDED IN ARKANSAS AND BY THE U.S. SUPREME COURT. (CLINTON WAS DISBARRED). “”Have you ever had sexual relations with Monica Lewinsky (the staffer), as that term is defined in Deposition Exhibit 1, as modified by the Court?”. Clinton’s actions in denying the “inappropriate behavior” were intellectually dishonest and criminal. It was intellectually dishonest for those advising Clinton to suggest it was appropriate for President Clinton to commit perjury. As no other party was “prosecuted” for their actions in the Lewinski/Jones matter, the public will never know if an act of “obstruction of justice” occurred in the President’s defense of the Jones lawsuit. Kagan’s exact recommendations to President Clinton during the Lewinski scandal have never been disclosed, however, Clinton nominated Kagan to the U.S. Court of Appeals for the District of Columbia in 1996. Her nomination to that Court was not approved by Congress. Congress failed to confirm Kagan to the Court of Appeals in 1996, should she now be moved ahead of the 180 Judges who were confirmed by Congress and are currently rendering the decisions of our Country’s second highest Court? In 2003 Kagan was appointed as Dean of Harvard Law School by President Obama’s current National Economic Council Director, Lawrence Summers. Kagan’s intellectual dishonesty during her “deanship” is well documented. Kagan proudly boasts of her “support for a policy barring military recruiters from the Harvard campus”, because she felt that the military’s “Don’t Ask, Don’t Tell” policy violated the rights of Gays and Lesbians. The Military’s “Don’t Ask, Don’t Tell” policy? Kagan’s intellectual dishonesty at Harvard – where do we begin? The “Don’t Ask, Don’t Tell” policy is not a creation of the “United States Military”. The policy is a creation of politicians, not the military. The policy was devised and written, in total, by politicians, not by the military. When the military applies the rules enumerated in “Don’t Ask, Don’t Tell”, the military is, as the military is constitutionally sworn to do, following the legal orders of the military’s political masters. 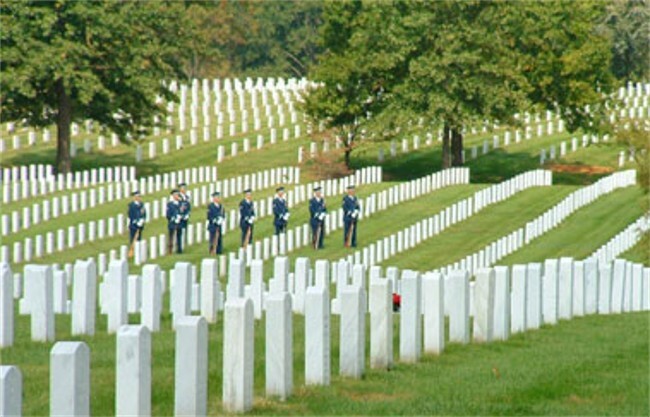 Just as the military does not chose what wars it will fight, the military fights when and where the politicians direct it to fight, the military did not create “Don’t ask, Don’t tell”, it is a creation of the politicians and Washington D.C..
Where did ‘Don’t Ask, Don’t Tell” come from? That is right. “Don’t Ask, Don’t Tell” was conceived and written while Kagan was serving as Associate White House Counsel and Policy Advisor and signed into law by her boss, President William Jefferson Clinton. It was Kagan and the Clinton White House who constructed the “policy” which so offended the good Counsel after she got to Harvard. Just one month prior to signing “Don’t Ask, Don’t Tell”, President Clinton had signed Defense Directive 1332.14., a directive that included a complete ban on gays or lesbians in the military. http://en.wikipedia.org/wiki/Don%27t_ask,_don%27t_tell Yes, that complete ban on gays and lesbians in the military was written, signed and executed while Kagan was Associate White House Counsel and Policy Advisor. The military’s discriminatory recruitment policy? A moral injustice of the 1st order? Who created this ”discriminatory recruitment policy”, the “moral injustice of the 1st order”? I think not. The blame, if there is any, rests solely on the Clinton White House and its Associate White House Counsel and Policy Advisor. The military, when it arrived at Harvard, was attempting to meet the obligations it was sworn to uphold. Specifically, the military is sworn to protect and defend the Constitution and to follow all legal orders received from its political masters and the Commander in Chief of the United States Military – The President of The United States. The military arrived at Harvard for the sole purpose of fulfilling the recruitment quotas set for the Military by Congress and the White House. The epitome of intellectual dishonesty, blaming the military for enforcing the provisions of the “Don’t Ask, Don’t Tell” policy when it was Kagan and the Clinton White House who created the policy in the 1st place. Should we expect less from a Supreme Court nominee? A third and much less publicized instance of Kagan’s intellectual dishonesty occurred while Kagan was Dean of Harvard Law. The Weekly Standard reported that Professor Tribe’s 1985 book about the selection of Supreme Court justices, “God Save This Honorable Court,” (Random House) had “perhaps an ‘uncomfortable reliance’ ” on a book by an emeritus University of Virginia professor, Henry J. Abraham.”. “Professor Tribe, who had been named recently by Harvard’s president, Lawrence H. Summers, as one of 17 university professors, the highest academic ranking at Harvard, immediately issued a public apology. Blaming his allegedly “well-meaning effort to write a book accessible to a lay audience through the omission of any footnotes or endnotes” for his plagiarism. Kagan’s response? She ignored the issue, after all, the good professors are admired members of the liberal left educational community. Dereliction of duty as the Dean Of Harvard Law? Hardly a trait to recommend one to the office of Supreme Court Justice. Dereliction of duty as Dean of Harvard Law – to be expected from a seasoned politician, but also a classic example of intellectual dishonesty. Kagan ignored the plagiarism, however, she never even blinked before she blamed the military for the “Don’t Ask, Don’t Tell” policy she helped formulate in the Clinton White House. In a sort of perverse, reverse plagiarism, Kagen claimed, “it ain’t mine, I didn’t write it, it’s the military’s fault”. Not a single day of judicial experience. A politician through and through and an intellectually dishonest politician at that. Mr. President, you have 180 Judges who have successfully passed the Congressional Review and Appointment process and are currently hearing cases in the various Federal Appeals Courts. Stop the politically motivated appointments and select our next Justice from America’s best Appellate Court Judges to fill the seat on our Supreme Court. With 180 Federal Appellate Judges to chose from, I’m certain you can find one who is intellectually honest. Mr. President you promised us “change” – but all you have done to date is recycle the same old Washington Elite, the Same Old Washington Insiders. 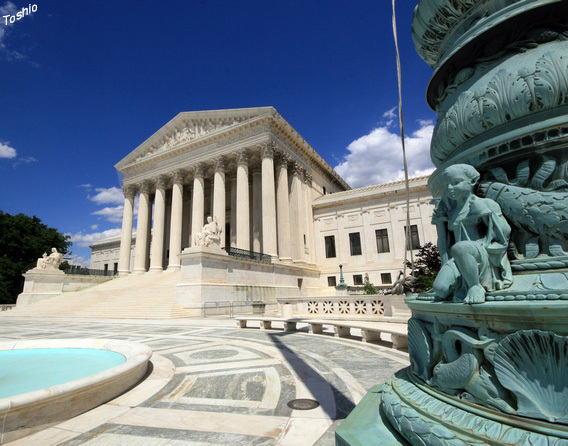 WASHINGTON — The nine students who sat as a mock Supreme Court dissected the cases before them. During weekly classes they picked apart arguments and became frustrated by incomplete briefs. Their seminar professor, Elena Kagan, largely kept quiet, letting her students run the debate. At the end of class she might ask: How do you think the real court will decide? McAuley’s World Comments: A compliant press again. Cheerleading for another liberal appointment. If we have learned anything in the Gulf of Mexico over that last 2 1/2 months, there is nothing like practical experience. Practical experience, experience actuallydoing the job you are assigned to do, beats hell out of “theoretical practice” in the class room. If we have learned anything during the Gulf crisis it is this, the real world is what happens outside of the confines of that comfortable little classroom. Will the Country be “best served” by appointing an academic without a single day’s experience serving as a judge, at any level, to our Nation’s highest Court. Mr. President, I urge you again to withdraw your nomination and select someone from the 180 sitting members of the Federal Appellate bench or one of the Nation’s experienced Federal Trial judges. Do we really need a “novice” judge to get her “on the job training” sitting in one of the nine chairs reserved for our Supreme Court Justices? Mr. President, those without experience are much more likely to lack the “wisdom” necessary to appreciate the “unintended consequences” that arise from their actions. 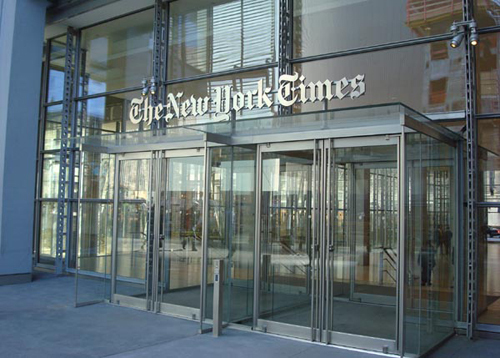 The New York Times Article on Kagan’s nomination, “Obama Picks Kagan, Scholar but Not Judge, for Court Seat”. Surprisingly, the Ne York Times correctly compared Kagan’s experience and lack of “judicial temperament” with Bush nominee Harriet Miers, “Critics have been pre-emptively attacking her in the days leading up to the president’s announcement. Paul Campos, a law professor at the University of Colorado, Boulder, writing on The Daily Beast, compared her to Harriet E. Miers, whose nomination by President George W. Bush collapsed amid an uprising among conservatives who considered her unqualified”. M. Edward Whelan III, president of the Ethics and Public Policy Center in Washington, wrote on National Review’s Web site that even Ms. Kagan’s nonjudicial experience was inadequate. “Kagan may well have less experience relevant to the work of being a justice than any entering justice in decades,” Mr. Whelan wrote. Will the Country be best served by appointing a Justice who has never worked a day as a Judge, whose main claim to being “qualified” to serve was a scandal marred tenor as Dean of Harvard Law. A term plagued by the intellectually dishonest “don’t ask, don’t tell” activities of the nominee and the unseemly disgrace of Harvard Law with a plagiarism scandal involving not one but two of the Professors under Kagan’s direction. Will the Country be best served by the appointment of a Justice who supports the expansion of the “Executive Branch” powers and the diminution of the powers preserved for the Congress and the Judicial Branch of our Constitutional Republic? A diminution of our Constitutional Republic today, when the President appoints individuals like former Police Chief Harold Hurtt to lead the ICE, when Hurtt is a leading supporter of Sanctuary Cities, an individual, who like the President, has no respect for the Constitutional separation of powers and Congress imperative to pass immigration laws that the Executive Branch is “required” to enforce. Is Kagan the correct nominee, an “academic” who agrees with an expansion of the Executive Powers through the use of “Executive Order”, even when those orders implement a “defacto” usurpation of the powers delegated to Congress in the Constitution? 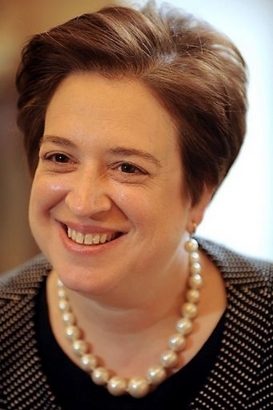 WASHINGTON – Supreme Court nominee Elena Kagan maneuvered carefully through tough Republican questioning on military recruitment at Harvard Law School, gun owners’ rights and free speech Tuesday, drawing strong praise from Senate Democrats who command the votes to confirm her. 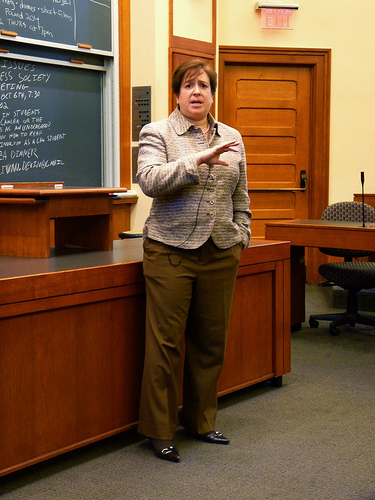 In a long day of questioning at a hearing that stretched into the evening, Kagan came under fire from Sen. Jeff Sessions, the top Republican on the Senate Judiciary Committee, for her decision as dean of Harvard Law to bar recruiters from the school’s career services office over the Pentagon’s policy against openly gay soldiers. He said that amounted to “punishing” the military services, treating them in a “second-class way” and creating a hostile environment for the military on campus. 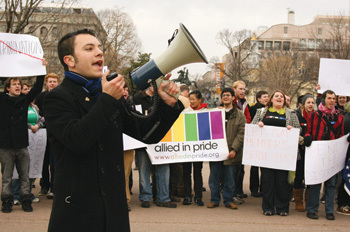 “We were trying to make sure that military recruiters had full and complete access to our students, but we were also trying to protect our own antidiscrimination policy and to protect the students whom it is … supposed to protect, which in this case were our gay and lesbian students,” Kagan said. Sessions rejected her version of events calling Kagan’s explanation “disconnected from reality” and accused Kagan of defying federal law because of her strong opposition to the military’s treatment of homosexuals. Solicitor General Kagan continues ger intellectual dishonesty.